Register for Upcoming Online Summer Courses! Summer learning isn’t just for kids! 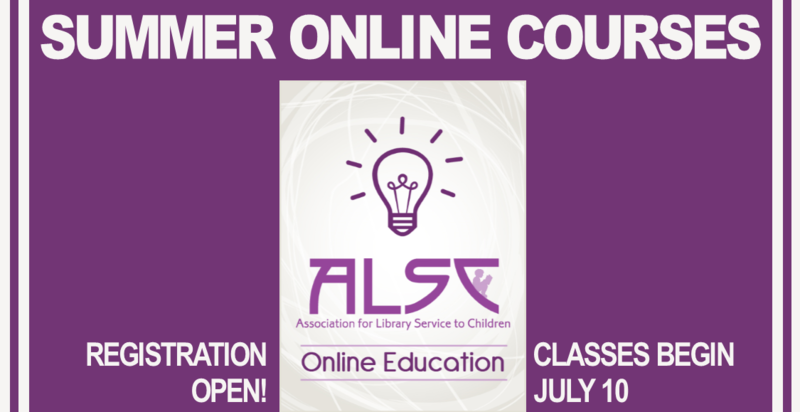 Include an ALSC online summer course in your plans! 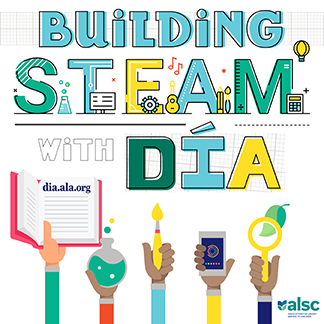 ALSC is pleased to offer a variety of quality, fun, online courses. All courses will run between four and six weeks and will be taught in an online learning community using Moodle. The best part is, all of the courses are self-directed, so you wil not need to log on at a specific time. Schools have begun to concentrate on providing better education in these areas and now libraries are being asked to do the same! Learn how to provide educational programs using STEM without going to school to become a scientist. 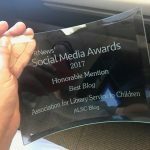 Children’s librarians and associates will learn to present and adapt programs for multiple ages. Telling stories with puppets can bring new levels of creativity and excitement to storytimes and school presentations! This course will give participants practical strategies for bringing stories to life with puppets; tips for adapting folktales and picture books into puppet presentations; strategies for rehearsal, planning, and development of puppet stories; and background about how puppet tales develop narrative skills and reading motivation from the audience. The Robert F. Sibert Informational Book Medal is awarded annually to the author(s) and illustrator(s) of the most distinguished informational book published in the United States in English during the preceding year. This course will explore non-fiction books for children, and what makes these award winning books great. The class will also look at past winners of the Sibert Award to hone critical skills in nonfiction evaluation. Registration is now open for all of the above courses!